The Huawei P30 is going to be equipped with a triple camera on the rear. 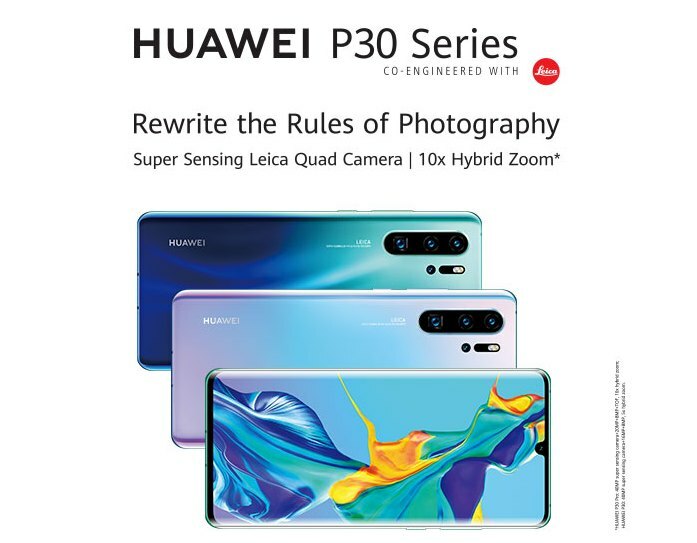 The P30 and P30 Pro are scheduled to launch on 26 March and Huawei's hype-building teasers have all-but-confirmed that the focus will be on the smartphones' cameras. The Huawei P30 is priced at NOK6,990 or about 720. According to the promo material, the P30 series will come with a range of aurora glass designs that come with multi-tone gradient effect. A previous leak suggested the price of P30 Pro to be Euro 999 for the 128GB model and Euro 1024 for the 256GB storage model. Customers at the roadshow will get a free Huawei Watch GT Active Edition and a JBL Clip 2 Bluetooth speaker that's worth S$467 (about RM1,402). Once the pre-order campaign is over and the bundle is no longer available, the prices are likely to go down. The follow-up models, the Huawei P30 and P30 Pro are due to be announced on 26 March 2019 at an event in Paris and numerous details have already been leaked. The P30 will come with 6 GB RAM and 128 GB of Storage. 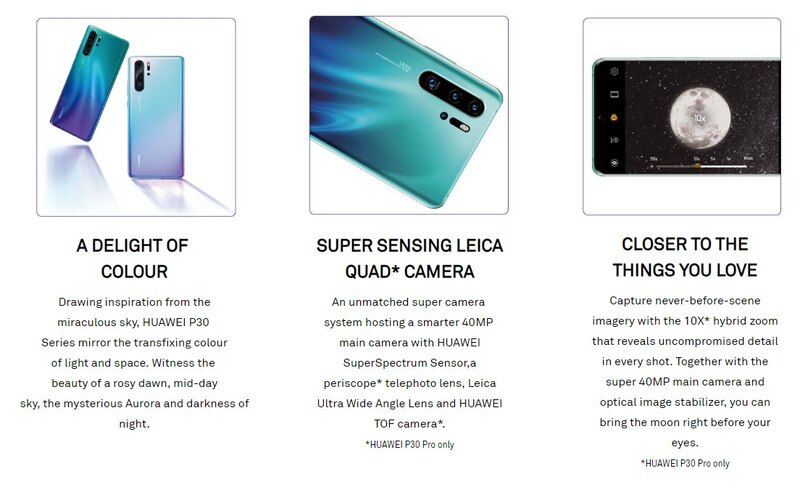 I am fairly certain that the Huawei P30 Pro would be using an optical fingerprint sensor, instead of the Ultrasonic Fingerprint Sensor modules that were manufactured by Qualcomm. 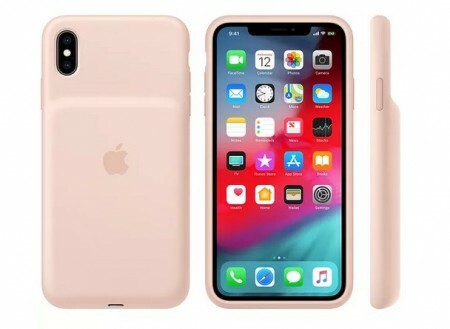 The handset will feature a quad-camera setup in back that includes a 40MP primary sensor, a 20MP ultra-wide sensor, an 8MP telephoto sensor and a Time-of-Flight sensor for AR and more accurate depth measurement. In terms of battery, the standard P30 is said to have a 3,650mAh capacity while the P30 Pro shares the same 4,200mAh battery size as the current Mate 20 Pro.